After taking the Washington St Cougars to the Rose Bowl, Ryan Leaf was the second overall pick of the Chargers in 1998 NFL draft. After a legendary fall from grace, Ryan has been reborn in a sober life and in sports commentary. Currently Ryan is the host of Pac 12 This Morning on the Sirius XM Pac 12 Channel, Fox’s Sunday College Review, and providing color for Pac 12 Network Games. 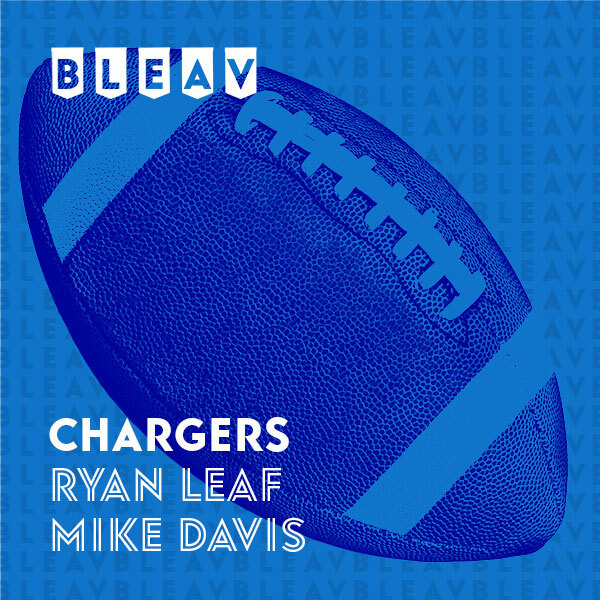 Ryan gives Bleav incredible, in depth insight into the Chargers and life that only he can.